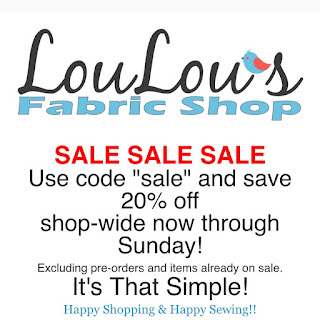 LouLou's Fabric Shop: Who Doesn't Love a Good Sale? 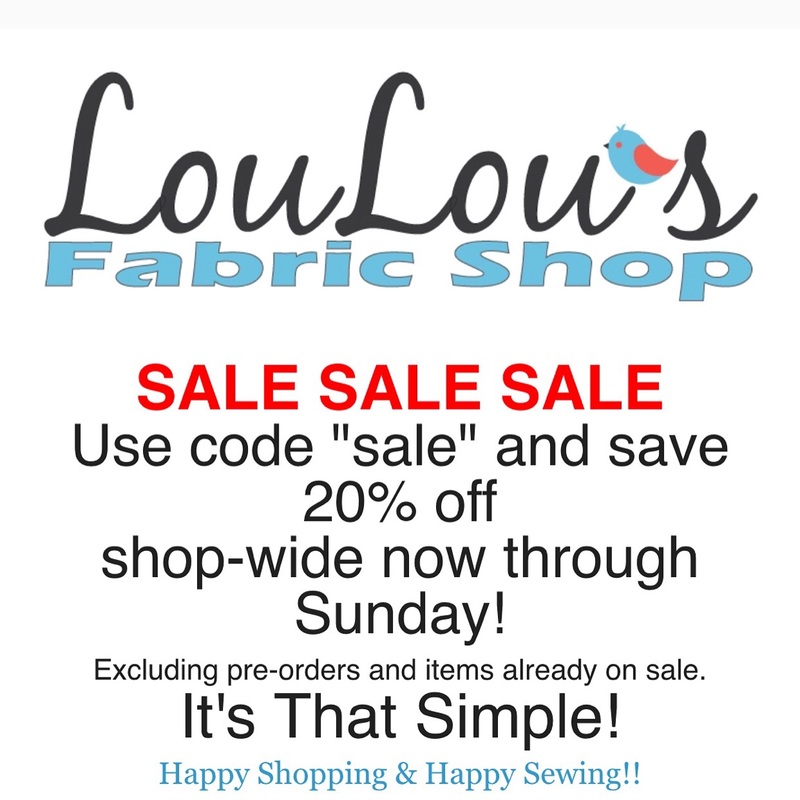 There's nothing like a good fabric sale to grow that stash you've been depleting with all of your fantastic "maker" skills! If you're like me, the fabric shopping is just as fun as the making. Sifting through bolts and bolts of lovelies until you spot the one that tugs at your "I need another aqua in my stash" heartstrings. So, here's to shopping, so you can continue making!